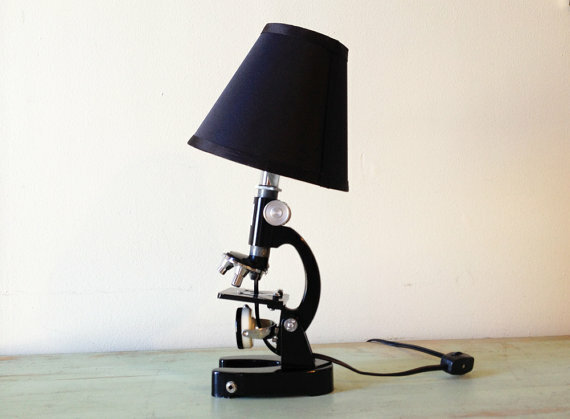 Check out this re-purposed microscope lamp from Northern Electric on Etsy. This entry was posted on April 6, 2014 at 4:02 pm and is filed under craft, home, inspiration with tags craft, home, inspiration. You can follow any responses to this entry through the RSS 2.0 feed. You can leave a response, or trackback from your own site. Oh, this has unearthed such bittersweet memories! When I was a little kid, my Dad gave me (or perhaps, with hindsight, we shared) his own microscope. It may’ve been an ex-school one, (certainly it was small, and didn’t have a huge power of magnification) however it blew me away! The excitement of seeing the miniature world revealed was like nothing I’d ever experienced before! Awwww, Nx…good luck on your treasure hunt!